The Lorna and Ray Coppinger Endowment was established in 2006 upon their retirement from Hampshire College after 37 years of teaching generations of students. Gifts and pledges in their honor have since brought the fund to its current principal of more than $440,000. At this level, approximately $15,000 can be awarded each year to students who apply for grants for their research, placing it among the top funding sources for student research at Hampshire. In 2015, approaching the Fund’s 10th anniversary, Ray and Lorna made a gift of their own to the fund, toward their dream of seeing it top $1 million, enough to also fund faculty field studies with students. About their gift, Ray said, "Lorna and I are amazed at the quality and diversity of work that has been inspired by the Coppinger Endowment, which we like to call the 'Coppendow.' It has meant a lot to us to see students presenting their research projects, and the quality has been excellent." He continued, "But the grants from the Coppendow need to be larger if they are going to support faculty research projects that have substantial enough field work to attract students. This was the kind of study that was so vital for me as a professor. The work set many of my students on their professional paths. Most of them are still my friends and also scientific colleagues. That field study was not only great for students but it was great for us; that is where the learning, and the fun, really happens. Ray Coppinger passed away on August 14, 2017, a loss deeply mourned by the Hampshire community. View Ray's obituary and memorial tributes, and share your stories with the community. Your gifts turn possibilities into reality. 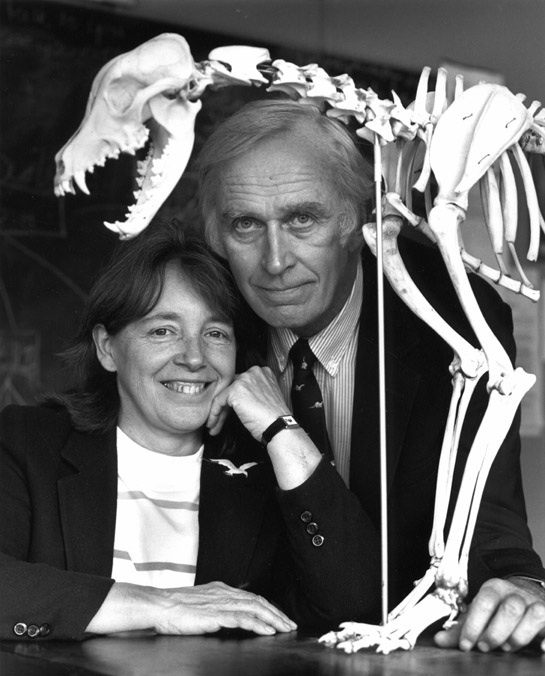 The Lorna and Ray Coppinger Endowment remains a living part of his and Lorna’s legacy at Hampshire, inspiring students and faculty, and influencing science, for generations to come.